Im doing the great cycle challenge again this year which helps raise money to fight childrens cancer. I have a cool bit of memorabilia to help raise money. 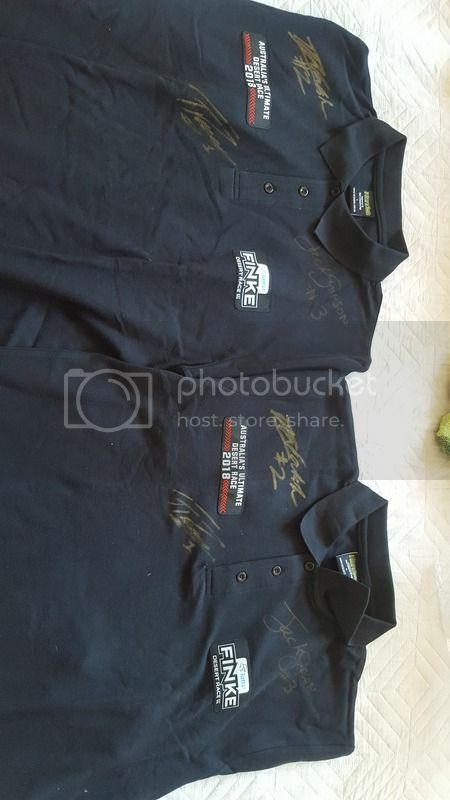 I have 2 x 2018 finke shirt signed by the top 3 in bikes. Want to go into the draw to win 1 of 2 signed finke shirts? Simply make a $10 donation to my fundraising efforts in the @greatcyclechallenge. Every $10 donated gets you an entry. No limit on donations or entries. Every donation over $10 is tax deductible. So not only do you get a chance at a cool piece of finke memorabillia, you help raise money to fight childrens cancer and you get some money back at tax time. Come on guys. Surely someone around here wants this for the man cave. I missed this. I’ll donate later today. Good thing you posted up again mate. I got busy and forgot! Donation now in. Thanks to everyone who has donated so far. I've raised $674 so far.